Lakers star Andrew Bynum (born October 27, 1987) was spotted earlier this year signing autographs for fans outside the Los Angeles practice facility in his Porsche 911 Turbo turned by TECHART. It’s no secret Andrew is a real car enthusiast and this car pretty much sums that up. 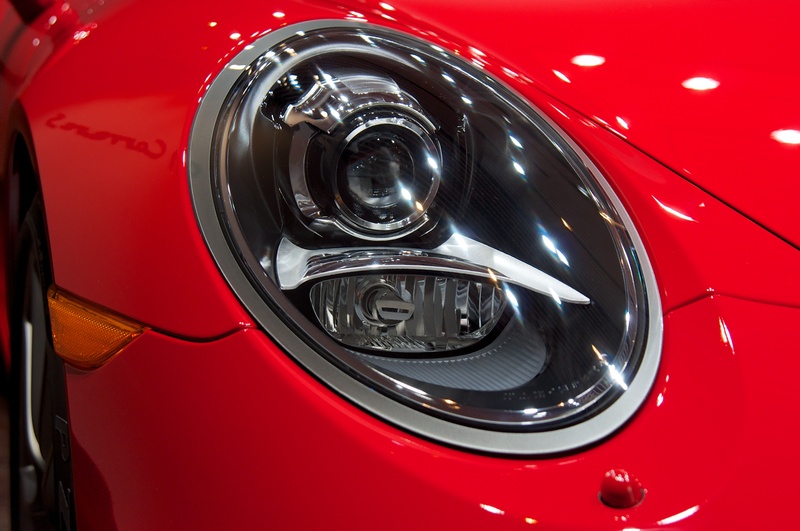 We could look at it all day long…. 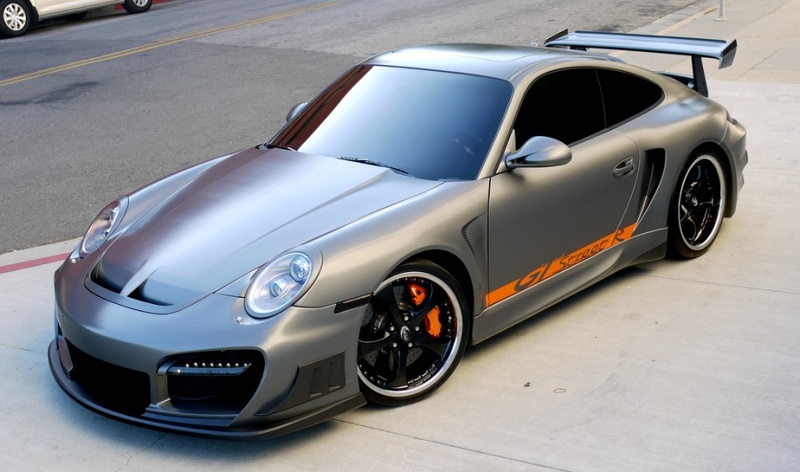 The 2010 Porsche 911 Turbo with the PDK transmission was used as the base of this extensive build. The vehicle went through a major transformation beginning with a custom rendition of “Reventon Grey” matte finish exterior paint job. 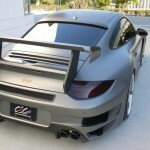 Careful consideration was taken into account to reveal the quality of the TECHART carbon fiber aerodynamic kit, as seen in the front fenders and hood. 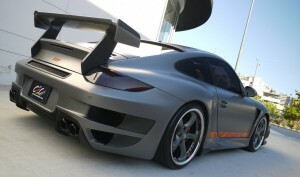 This special Techart GTstreet R is outfitted with 20″ TECHART Formula II wheels (driver side: gloss black with polished lip, passenger side: gunmetal matte finish with polished lip). 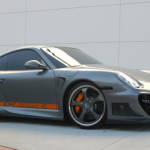 Interior modifications include custom fitted Recaro seats wrapped in black leather and orange stitching with a custom Porsche insignia embroidered on the headrests. Make sure to scroll down and view the photo album and refer to the extensive list of modifications below to truly appreciate the amount of hard work and effort CEC and TECHART provided on this very extreme GTstreet R for an extreme car enthusiast such as Andrew Bynum.